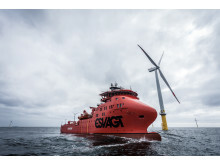 ESVAGT is building a new Service Operation Vessel (SOV) for MHI Vestas Offshore Wind to service the offshore wind farm off the Belgian coast. The Service Operation Vessel (SOV) for the offshore wind farm, the Dudgeon Wind Farm, has left the Gdansk shipyard. 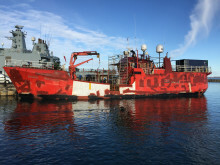 It will now be fitted out at Havyard in Norway. 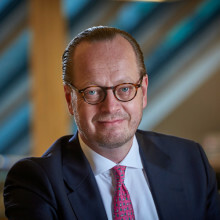 The shipping company’s new owners have chosen a chairman with a particularly solid knowledge of the company – ESVAGT’s former chairman of the board, Jesper T. Lok. Media storm: Storm in the North Sea made the ’Esvagt Echo’ famous.